Most of you probably know I'm the co-founder of The Bloom Workshop. We have ONE workshop left for the year! Early Bird tickets are OPEN for Bloom Bash San Clemente in Southern California. For the first 5 people who use the code WHOA15, you'll receive an additional 15% off your ticket! 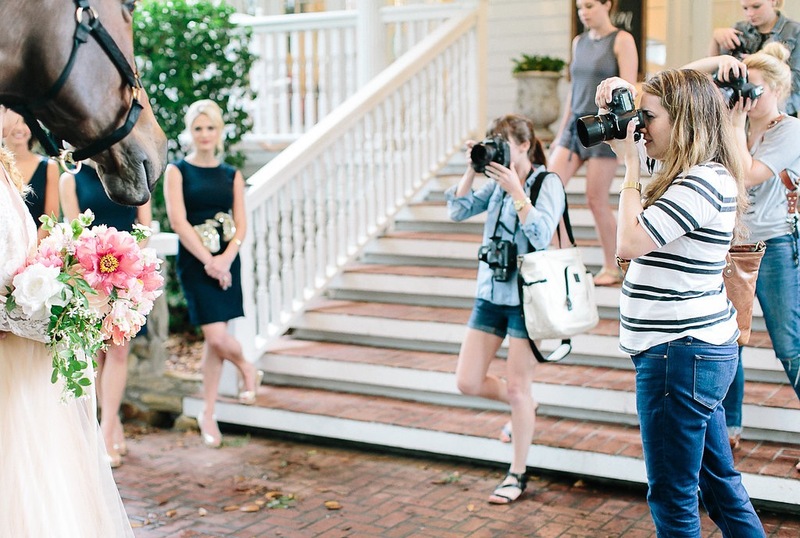 Day One Sessions include: Blogging, Branding, Photography, Styling & Design. 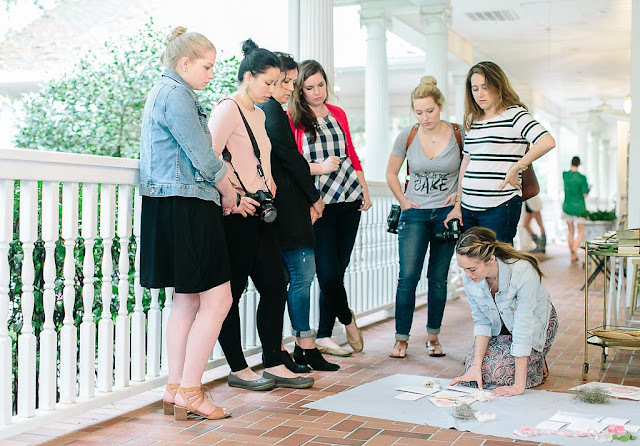 Day Two Hands-on includes: Floral arranging class, calligraphy class, social media, and your choice of two breakout sessions (Photography & The Client Experience OR Styling & Standard Principles of Design). Attendees will take home their floral arrangement and vessel as well as their full calligraphy kit including pen, nib, ink and instructional materials. A fully styled wedding photo shoot at the end of day two including tablescapes, florals, bride, groom and a styling station. Refine and develop your photography and styling skills in a relaxed environment, where no one will compete to "get the shot". This is hands-on and attendees will be actively shooting and styling. Photos may be used for personal portfolios. We will also be sharing how to dream up and execute styled shoots of your own, as we find these crucial to finding your ideal client. Daily insight from a panel of hand-selected experts. We use this time at the end of each day to open the floor to questions of all kinds-- nothing is off limits. Our speakers and panelists all have a passion for sharing their knowledge on their craft. You'll find this time very comfortable, casual, and informative as we are open to discussing things as serious as contracts, to as personal as how to balance work and home life. Catered breakfast and lunches on both days of the workshop. Dessert is our favorite, so you can expect that as well! Professional headshots of yourself or your team. Ashley Slater Photography and Christine Doneé Photography will be providing an opportunity for you to have your photos taken for your website, social media or blog. A sweet bag of swag and other thoughtful gifts, sprinkled throughout the two-day workshop. Support after the workshop comes to an end. We love to continue working with you even after the workshop is over. Our Facebook group provides a space for attendees to bounce ideas off one another and share success! This two day event won't only provide fun networking and inspiration opportunities, but more importantly it will provide you with time tested strategies and things you can do right NOW to impact your business. 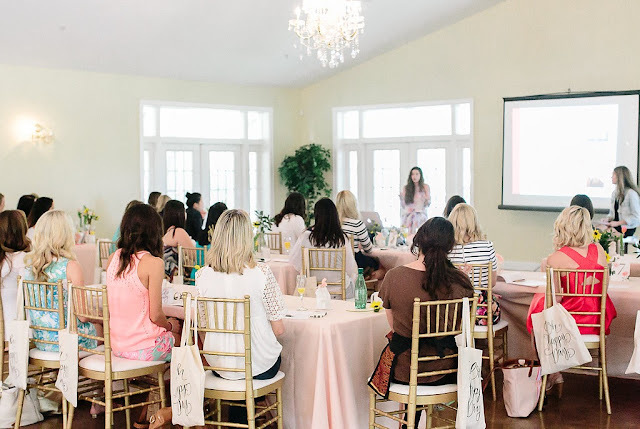 With sessions on blogging, social media, branding, photography, design and styling you will leave with a detailed grasp on why and how each of these areas impact your business and how to execute best practices to see your business or blog thrive. It makes us so proud to see that every attendee who has been to Bloom has seen growth and practically taken the next step in their business. Bloom Bash features a full day of lectures and learning and a full day of hands-on work including floral arranging, calligraphy, styling and photographing a fully set-up wedding photoshoot. On top of all the learning and hands on fun, you will also be provided with two days of meals, thoughtful gifts and swag, and the opportunity to meet and learn from industry professionals and the women who are the best in their field. We can't wait to meet you, inspire and grow together at Bloom Bash! I hope I get to meet you in October! You can get details and sign up HERE.